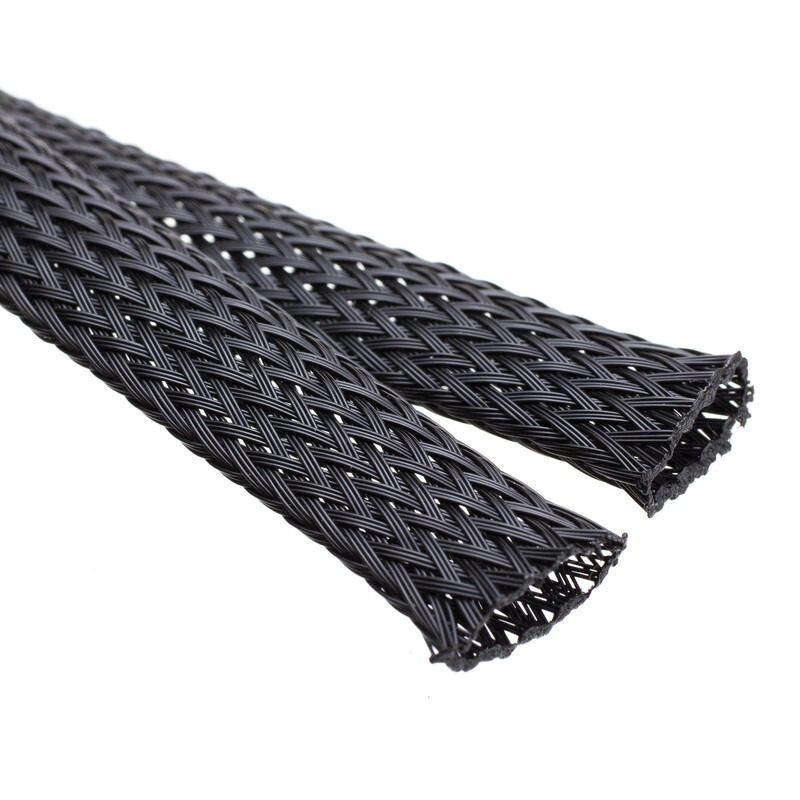 This 1/2 inch diameter wire sleeving comes in a 6 foot length. This style of woven polyester sleeving is used for managing multiple wire cabling such as wire harnesses and/or to help protect cables from abrasion which could damage them. In the case of protection from abrasion one would simply feed the cable into and through the sleeve. 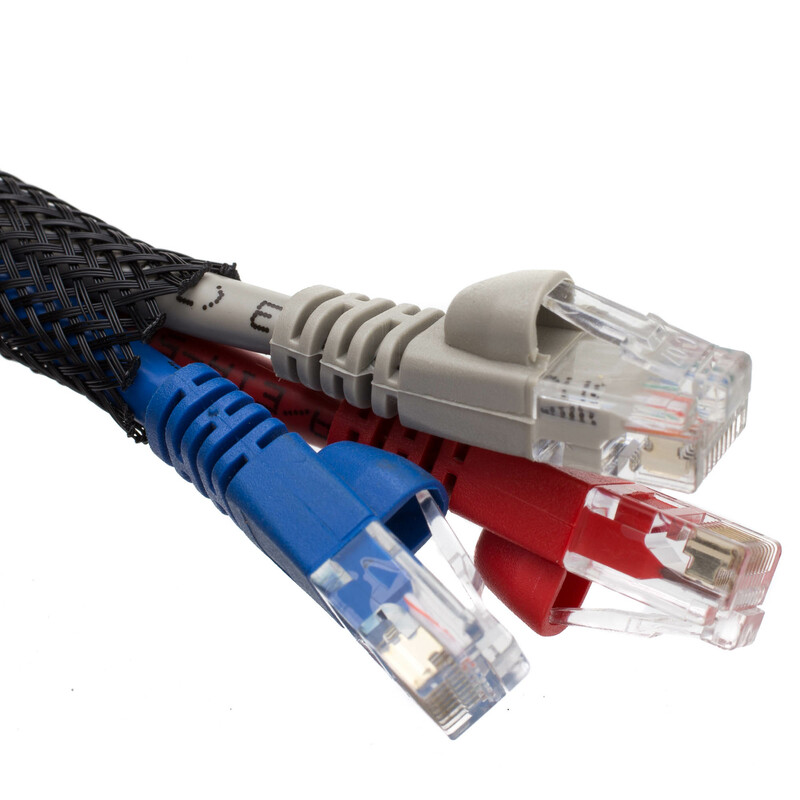 Sleeves typically expand to a maximum of double the listed diameter so for this method be aware of that maximum diameter and give yourself wiggle room to fit cable ends through as well. When one is constructing a harness the wires would be fed through the section of sleeve and the sleeve would be trimmed to length as appropriate. Since this is a weave one must prevent the weave from unravelling after it is cut. One method of preventing the sleeve from unravelling would be to melt the cut end with a heat gun to join the loose ends. 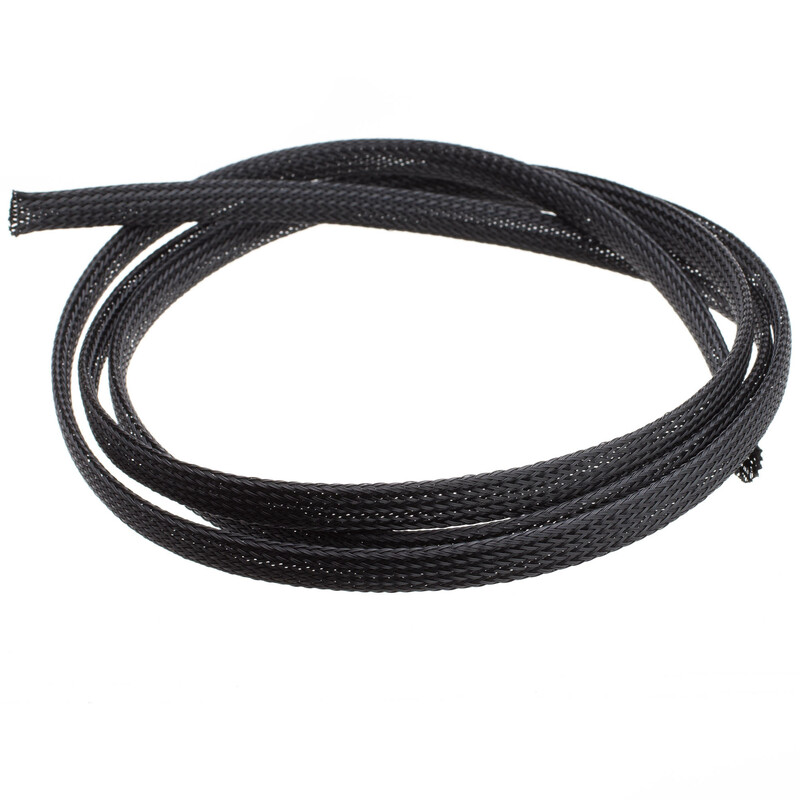 Another method would be to use a zip tie near the sleeve end and cinch it tightly to the cable, this method is often beautified by slipping a section of heat shrink tubing over the zip tie and the exposed sleeve and then hitting it with a heat gun to shrink the wrap.